Located between our winery and Shiloh Vineyard, along River Road, the Kent Vineyard spans more than 90 acres planted with Chardonnay, which is used in our famous Russian River Ranches and Sonoma Coast blends. The soils of Kent Vineyard are gravelly, sandy clay over heavy, black Clear Lake clay. 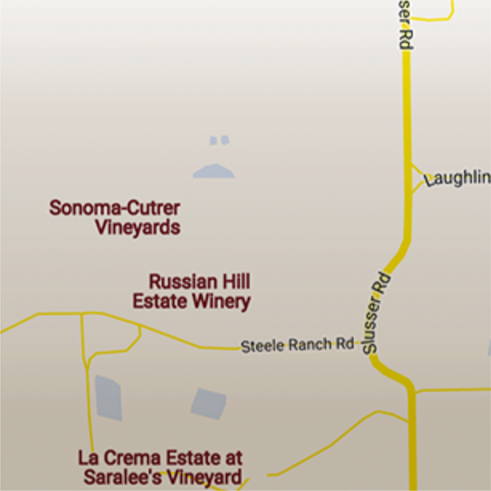 The northern half of the vineyard is flat, but the southern half lies on the old sloped riverbed called Woolsey Bench. Morning and evening fog from the Pacific Ocean and Russian River make it a perfect spot to grow Chardonnay grapes.